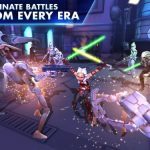 Star Wars: Galaxy of Heroes, for those who aren’t aware of the game yet, is the official mobile game for the upcoming seventh film in the Star Wars series, The Force Awakens. 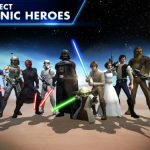 In this new Electronic Arts game you can collect all of the series’ iconic characters, from Luke Skywalker to Darth Vader, build teams with both Jedi and Sith heroes, and make strategic choices and choose the right characters that can help you win every battle. Each hero you get to collect can be equipped with gear for increased damage, and each of them also has complimentary abilities that could spell the difference between your victory and defeat in the game. We’ve covered this game a couple of times in the past, offering some useful tips and tricks here and there and covering a variety of topics. In our first Star Wars: Galaxy of Heroes strategy guide, we shared several tips and tricks on how to defeat your enemies. Moreover, we provided a couple of tips on how to unlock more heroes in the game, as well as the best ways to collect more crystals. 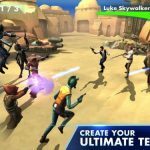 This time, we’ve come up with a Star Wars: Galaxy of Heroes ultimate guide for you – if you need a one-stop shop for tips and tricks, you’ll find ‘em all here. Each character has a blue meter located right underneath their green health bar. Once the blue bar is completely filled up, that means any given character is all ready to actively take part in a battle. That makes paying attention to this bar of paramount importance, not only for you, but also for the enemy; observe the enemy’s characters too and see whose blue bar is about to be filled up, if not already filled up. Above, we told you how important the blue meter is. Putting this into practice, you want to aim at targets whose blue bars aren’t full, as that’ll give you a chance to get rid of them before they can even move. Conversely, there would be times where you should also fire at the most powerful enemy with their blue bar filled up, allowing you to easily take out the enemy’s top character. You will, at the very beginning, get yourself a party member who is capable of targeting multiple enemies with one attack. And as you progress forward and fight more enemies, you’ll be taking part in a series of fights before the grand finale, where you face the last squadron – this is, so to say, the “boss battle.” You’ll want to use your multi-target attacks during these final battles, saving the best for last and making sure the boss gets to feel your force at its strongest. Yes, we know it can be very tempting to use these high-end attacks on the tough enemies you face before the boss battle. But it would be better if you hold off on using them until you’re finally up against the boss and his minions, allowing you to take them all out and prevent them from wreaking too much havoc. Remember that in boss battles, you always face the cream of the crop, the most powerful enemies, you biggest challenge in a series of fights. For best results, you should definitely opt to use your most powerful attacks if there’s more than one that can target multiple enemies. 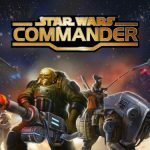 Star Wars: Galaxy of Heroes comes with a variety of items that you’ll have to collect. But it’s much easier than what you may think – for example, if your resources are particularly low for one item, or if you’re looking for something brand new, all you’ve got to do is to check one of your characters, tap on any inventory slot, and hit Find. The game will do the dirty work for you, pointing you toward the direction of a required weapon. Challenge Mode is aptly named, as it pits you against enemies that aren’t anything like the bad guys you had encountered thus far. That means you’ll have to come to battle prepared, and equip characters who are specifically blessed with abilities that can stymie an opponent’s offense. In many cases, we’re talking about characters with de-buffing abilities as your best choices for Challenge Mode. Also be sure you’ve got at least one Healer, to keep your party healthy and heal their injuries. This should be done at least once a day if you’re looking to get a lot of energy, experience points, credits, crystals, and the like. Activities are like quests – you’ll have to complete a specific number of Light/Dark side battles or general battles, train characters or place your characters in empty slots, etc. Always check what’s in it for you in these activities and try your best to complete all your goals. That too applies to Achievements, where you should regularly double-check the ones you’re already done with or are almost done with. This tip, we’d say, serves as the best way to get more resources and other key items in the game. As a bonus tip, using the training droids to level up your characters would also boost your team’s Squad Power. The aforementioned Squad Power makes up the combined Power of all your team’s members, and could be your best friend if you choose to head to Squad Arena and win battles against other human players. Use this to your advantage by choosing players who have low Squad Power stats; when faced with a weaker team, you will naturally have a better chance of winning. Just be sure you regularly upgrade squad members’ individual power, as well as train members’ Strength, Agility, and Intelligence attributes. This is probably a very common sense tip, but speaking in general terms, it’s the useful, powerful characters that need the most training. At first, you won’t have a very powerful team at your disposal, but as you keep playing the game, you’ll gain more powerful and useful heroes. Still, you’ll want to pay close attention to your original team, so you can pick out someone who is of most use to you; these useful characters need to be first in the upgrade queue. We’d say powering up a Jedi with a group healing ability would be a good example of how this works. And, again speaking in general terms, choose your characters with the best statistics, and focus on getting them trained, more so than the so-called “outliers” in your team. It’s always a great idea to try to collect as many heroes as possible in this game, but how can you do this? First, complete those light/dark side battles, and grind it out for farming purposes. That means replaying the battles in hard difficulty level; this would give you new character shards as a consequence. Additionally, you should also pick up your free Bronzium Data Cards the moment they become available. You’ll be able to get one every ten minutes or so, and that too could help you unlock new heroes. Last, but not the least, special events may become available; don’t hesitate to join them if you’re got a goal to unlock as many heroes as possible. Ranking highly in the Squad Arena leaderboard is yet another way in which you can unlock more characters. Yes, we did suggest facing players with lower or weaker Squad Power, but if you’re chasing after more characters, you would usually want to be facing those who are of a similar level to you. You can also get Arena Tokens, credits, crystals, and other prizes that will then be sent to your inbox. Rewards are all based on tier, while Arena Tokens are what you’ll be using to buy new characters under the Arena Shipments area. Keep on chasing a higher tier and you will be able to win more freebies, including those all-important Arena Tokens. You may be one of the many unsure of what to do when it comes to unlocking Darth Vader. He is the most desirable character in this game, and we would suggest completing all of the game’s primary achievements. This will all allow you to draw much closer to receiving 80 shards, which can then be used to add Darth Vader to your team. Equipping squad members with gear would make them more powerful, with each unique piece of gear assisting a character as you face more enemies in missions. These aids could come in the form of additional health, extra special damage, or other all-important boosts that could potentially turn the tide on the battlefield. Generally, gear items work by improving your character’s Strength, Agility, and Intelligence, though there are other items that could give your character’s speed, special damage, or health a boost. Gear could also be common, meaning it can be equipped to anybody on your team, or specific to a certain character. Look for the green plus sign next to a character’s avatar so you can see if they can be equipped, with collected items going to a specific slot. Lastly, we’d suggest tapping on a character’s avatar, then on the magnifying glass icon next to the empty slots that have them. Tap on Find and you’ll see a list of locations where items can be found. Go to Character Details and you’ll be able to find the Attacks and Abilities section. Tap on Characters, choose a squad member to check their special attacks and abilities. In order to unlock a character’s special attack or ability, you’ll need to get them to a certain Gear Level, which means filling out all the character’s gear slots. Use the tip we told you about finding gear and complete missions in the location where the gear is located. What are Sim Tickets, and what can you expect when you get one? For starters, Sim Tickets are given to players who have reached Level 9. And you can use them for instantly replaying a completed battle and helping you gather more booty – you will need this, however, by winning a battle as well as three gold stars. That’s an extremely simple way for players to gather as much XP, credits, and Training Droids without having to fight. As a refresher for the meaning of “tank character” or “tank” in a gaming context, these are the characters who soak up lots of damage, thus making up for their usual lack of attack power. In the context of this particular game, it’s the characters like Chewbacca and others with taunt skills that are the most appropriate tanks in the game. But what can Chewie do for you now that we’ve established his “tanking” abilities? These tanks have powers that make the enemy focus on their fellow tanks, and as such, tank characters need to be slightly ahead of the curve than the bad guys, as they’ll take a lot of hits. In battle, one general rule to follow is to prioritize taking out the enemy healer first, or as one of your first targets. It’s easy to spot an enemy healer, as he’s the one who’d be surprisingly healing all the enemy characters in one go. Tap on that character and kill him as soon as possible. You’re probably wondering about Star Wars: Galaxy of Heroes’ auto-play feature. Is it worth turning it on and letting the game’s artificial intelligence take over in battle? We’d say yes, on many occasions – EA has made the game’s AI smart enough to decide when would be the best time to use special attacks and abilities or which enemy should be focused on. But there are a few things you need to do before using auto-play; first, be sure you’ve got a powerful, well-trained squad whose gear is also up to date. Second, make sure you’ve used ability materials or reached a certain gear level to improve your characters’ special abilities.